When important calendar dates roll round like Battle of Britain Day or the anniversary of the Dambusters’ raid, all of the talk goes to the heroism of the pilots and aircrews, defending Britain’s skies and taking the fight to the enemy. But the RAF would be nothing without its ground crew, if an Army marches on its stomach, a Spitfire only flies thanks to the careful attendance of her mechanics. 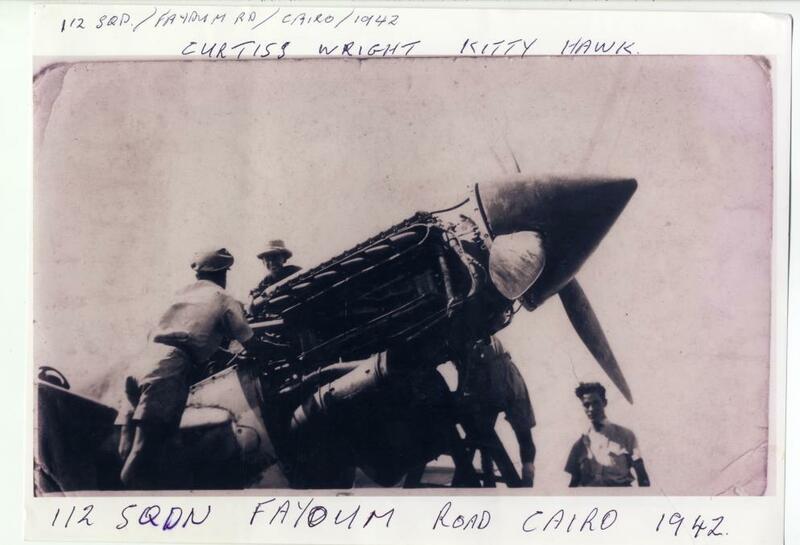 One such mechanic was Sylvester Owen, an engine fitter and qualified mechanic on Curtiss P-40 Kittyhawk’s and Supermarine Spitfires. 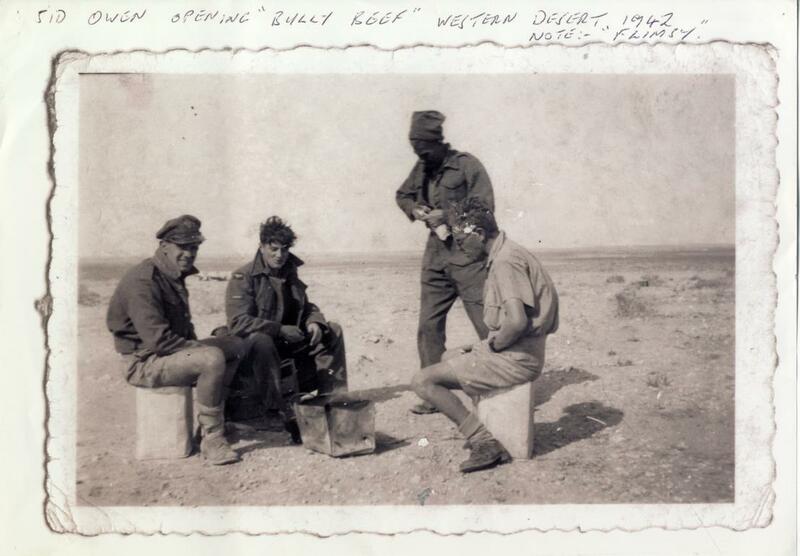 Owen, served in the African and Mediterranean theatres of war helping to keep the Desert Air Force fighting in the air while Eighth Army smashed the Germans and Italians in the sands of Egypt and Libya. Owen had served almost from the very beginning, joining up in December 1940 on his twentieth birthday, swapping mining work for aircraft maintenance. In 1942 he was shipped out to the Middle East with the Desert Air Force for the fight back against Rommel’s Afrika Korps. After the war in the Western Desert was over, the Desert Air Force transferred to Italy. Sid, a member of RAF ground crew remained in the Air Force and transferred with them. 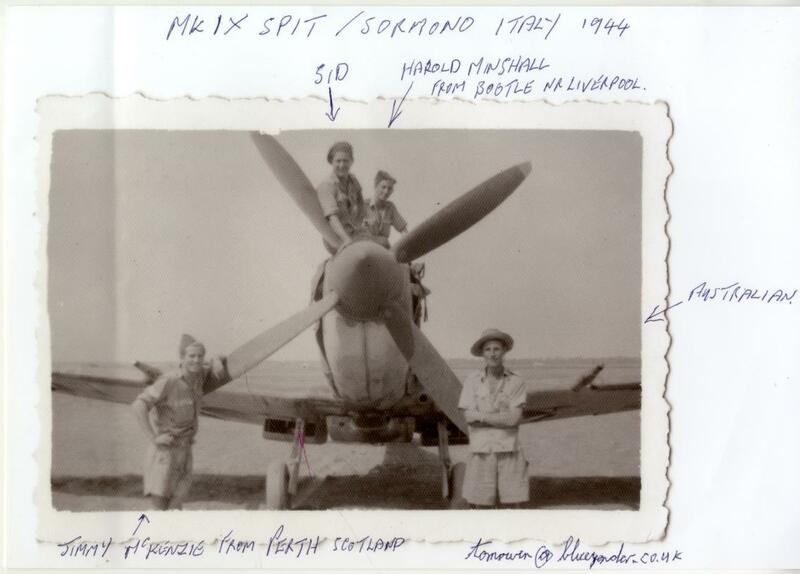 He was working in a small town called Sormono on a temporary airfield carrying out an engine change on a Mark IX Spitfire with his good friend and colleague Jimmy Mackenzie, from Perth, Scotland. The Flight Sergeant came along and said that everyone was ordered up the line, and this airfield was being taken over by the Americans (Yanks as they were referred to at the time). As the engine change wasn’t quite finished Sid and Mac agreed to stay and finish it. A truck with tools and such would be left with them, and a Harvard (small plane) would be sent back with the pilot. If everything was finished they were to give him the thumbs up and he would land and the Spitfire could be flown back, if not, thumbs down and they would have to send a low loader and crane to pick up the Spit. Sid said that one of the first jobs to do whenever they took over somewhere, especially when the Germans had occupied it, was dig a foxhole, because the Germans had a nasty habit of sending back a fighter or two to shoot up the place, and if they did, and you managed to get into a foxhole, you would always wished you had dug it deeper. The next thing they did was to build three sided bays, made of sandbags, to wheel the planes into and give a bit of protection, also it would keep the wind off when working on the planes, there were two at Sormono with just enough room between them to get another plane in if you were careful. Anyway, about an hour after the Brits had gone the Yanks arrived with their P38 Lockheed Lightning’s, twin engine twin boom, brand new, straight from the States. Sid said he didn’t know how they got down in one piece, the Brits would form a circle and then one would come down, then the next, and so on, whereas the Yanks came down anyway, all over the place, almost crashing at times. Well these particular Yanks had never seen a Spitfire up close, and here was this battle weary, beat up, old Spit, with cloth and resin patches all over, covering her battle scars because they didn’t have any aluminium to fix the airframe or the time to do a decent job! They were all over it, saying; “so this the plane that won the Battle of Britain”, “it doesn’t look like much to me”, “What’s with this wooden propeller? That will fly to pieces if a shell hits it!” “What’s all these pieces of cloth? They’ll fly off at speed!” They were sitting in the cockpit and messing about with the controls. After a while the Yanks got tired of messing with the Spit and started to play Baseball, there was a bit of interest when Sid and Mac tried to start her up, she was coughing and spluttering, because of the shellac varnish on the cylinders, which had to burn off, all adding to the Yanks ideas that this was an out dated piece of kit, and no match for their P38 Lightning. In the end Sid and Mac got the Merlin running superb and they realise that when the Harvard lands there will be a spare seat, and that one of them can fly up and the other will have to drive the truck to the next airfield. They toss a coin for it and Sid loses. The Harvard comes back and they give the pilot the thumbs up, it lands, and who gets out, “bloody hell Sid, look who they’ve sent” says Mac. Bluette, the most straight laced man in the RAF, “well that’s that” says Sid, no Battle of Britain take offs here, Blue always did a Married Mans take off, nice and slow. Mac says, “I’ll leave you to it Sid”, jumps in the Harvard and is gone within minutes. Bluette asks Sid if everything is OK, carrying on with his checks, after he’s finished he says to Sid, “Could I borrow your screwdriver old chap?” “Yes sir” replies Sid, Bluette then unscrews the Zeus fasteners holding the first aid kit, Sid asks why and Bluette says, “If the plane goes down, I like to have this tucked under the seat, where I can grab it if I have to bail out. Sid thought what a good idea, he had never seen anyone else do that. When Sid was helping Bluette into his gear, Sid thought hear goes nothing and tells Bluette about the Yanks taking the Mickey out of the Spitfire. Then Bluette says “I’ll take her for a spin around and if everything is ok I’ll come back and give you the thumbs up and you can be on your way, if it’s not I’ll land and we can take it from there. So off he went, as usual nice and slow, all the Yanks stopped playing their game to watch, up and up nice and steady until he was gone, disappearing over the hills that completely surround Sormono. After 5 minutes there’s no signs of him, 10 minutes, the Yanks have gone back to their game, 15 minutes still nothing and Sid starts to think well he’s either forgotten or he’s crashed and we’re in trouble. 20 minutes pass and back comes Bluette, he came out of nowhere, fast and low, so fast the Yanks and Sid think it’s a BF109 and dive for cover. He was flying so low coming across the field, straight for the Yanks, he looked just like a man on a motorbike, helmet googles, the lot! The Merlin was flat out, he flew right between the two parking bays, and then took it straight up, up and up, the Yanks and Sid picked themselves up and were watching it go, until it was no more than a dot in the sky, then he brought it back down, straight down, the Merlin screaming as it hit maximum revs, Bluette pulled it out of the dive at the very last second, performed two Battle of Britain rolls, slowed it down and brought it around to give Sid a big thumbs up and a smile that said it all. Sid was throwing the tools in the Lorry as the Yanks came across exclaiming, “Was that the same ship that was here? Man alive I’ve never seen a ship go like that!” “Did you see that ship go? I’ve gotta get one them, we need them, what a ship!” The Yanks had never seen a plane go like it, neither had Sid, he carried on packing the tools away as though it happened every day. RAF ground crews worked miracles with British equipment during the Second World War. They worked tirelessly to repair damaged aircraft and get them back flying as quickly as possible in the Battle of Britain, made the best use of available materials and ensured aircraft that were designed to fly in the skies over Europe could operate in hot and humid jungles or the eroding, pervasive sands of the desert. Without the herculean efforts of RAF ground crew, fighting the various aerial battles of the Second World War would have been significantly harder and the Army and Navy would have suffered accordingly in their own operations without the valuable top cover provided by the RAF’s bombers and fighters. 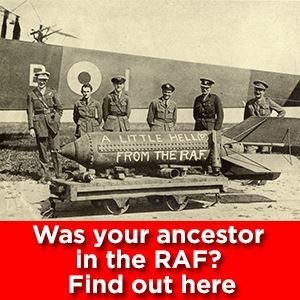 Was your ancestor in the RAF? Find out today!